My name is Mark Thakkar. I work on late mediaeval philosophy, focussing on the first half of the 14th century, and am currently finishing a DPhil thesis at Oxford on "Peter Auriol and the Logic of the Future". I am particularly interested in the philosophy of language and in the history of mathematics and of science. Welcome to Natalia Agapiou, who is outis on this forum here! discussions, to exchange ideas or seek help. Welcome to Marian Rothstein (mrothstein on this forum here)! in its broadest sense-- takes in 16 century France. Welcome to Evelien Chayes (chayes on this forum here)! ERASME, Université de Toulouse Le Mirail. Welcome to David Collins (who is djc on this forum here)! Prof. David J. Collins, S.J., Ph.D. Welcome to Axel Erdmann (who is gilburga on this forum here)! Welcome to Michael V. Dougherty! Welcome to Michael V. Dougherty (who is MVDougherty on this forum here)! Welcome to Una McIlvenna (who is McIlvenna on this forum here)! Welcome to Jesús de Prado Plumed! Welcome to Jesús de Prado Plumed (who is JotadePrado on this forum here! Universidad Complutense (Madrid) as a doctoral researcher. printed books in the early days of the printing press. Welcome to Harm-Jan van Dam! Welcome to Harm-Jan van Dam (who is vanDam on this forum here). Welcome to David Rankine (who is DavidRankine on this forum here)! Welcome to Almási Zsolt (who is zsalmasi on this forum here)! (Aristotle, Scepticism, Machiavelli in Tudor England). Studies at Péter Pázmány Catholic University, Hungary. I'm a lecturer in Medieval Art at the University of Melbourne, but I also teach (and am interested in) Renaissance art and culture. Welcome to Harun Küçük (who is harunabi on this forum here)! I am surprised I did not hear about this list before. Part of my dissertation is about late 17C Aristotelianism. Welcome to Stefano Cracolici (s.cracolici)! Contact information etc: see http://www.dur.ac.uk/mlac/italian/staff/display/?id=5067, please use the address: s.cracolici@gmail.com for contact. You can post this information in the new members thread. Welcome to Anja-Silvia Goeing (agoeing)! Welcome to Anja-Silvia Goeing, who is agoeing on this forum here! Welcome to Alan Ford (AlanFord)! Welcome to Alan Ford, who is AlanFord on this forum here! 'Past but still present: Edmund Borlase, Richard Parr and the reshaping of Irish history for English audiences in the 1680s', in Brian MacCuarta, ed., Reshaping Ireland 1550-1700 (Dublin, 2011), pp. 281-99. ''Making dead men speak': manipulating the memory of James Usher', in Mark Williams and Stephen Forrest, eds., Constructing the past: writing Irish history, 1600-1800 (Woodbridge, 2010), pp. 49-72. James Ussher: theology, history, and politics in early-modern Ireland and England (Oxford, 2007). '"Force and fear of punishment": protestants and religious coercion in Ireland, 1603–33', in Elizabethanne Boran and Crawford Gribben, eds., Enforcing reformation in Ireland and Scotland, 1550–1700 (Aldershot, 2006), pp. 91-130. Alan Ford and John. McCafferty, eds., The origins of sectarianism in early-modern Ireland (Cambridge, 2005). Welcome to Karen Reeds (who is kmr on this forum here)! I'm a historian of Renaissance science and medicine and an independent exhibit curator. Institutional affiliation: The post-academic research institute Jan van Eyck Academie, Maastricht. My project at the Jan van Eyck Academie concerns Michel Foucault's late lecture courses at Collège de France, and I'm currently translating his "Le Gouvernement de soi et des autres" into Swedish. I'm an editor of Site Magazine, and despite the fact that the journal is rather devoted to contemporary philosophy (as well as art, cinema, and architecture), feel free to contact me through the forum if you have any suggestions for books to review or texts to submit. 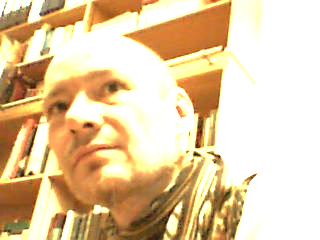 My User Name is Florilector, I am a Philosophy student at the LMU Munich. Welcome here! I just started to follow you on twitter. Welcome to Frances Muecke, who is FJM on this forum here! I am now working on Biondo Roma triumphans and I want to contact people with similar interests. You can publicise this info. Welcome to Sara Miglietti, who is s.o.miglietti on this forum here! Information on her can be found at http://www2.warwick.ac.uk/study/csde/gsp/eportfolio/directory/pg/live/rsrmac/ . My real name is James McCoy. Institutional affiliation: Doncaster College and University Centre. My institutional affiliation: Fordham University (New York) - educator and History of Science tutor. My interests (besides History of Science): horror novels, dogs breeding. Facts about me: have 2 dogs, Western and Jeely.